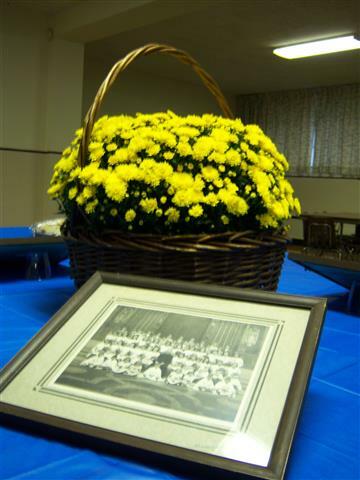 Annual Alumni Mass, September 22, 2013 at 10 a.m.
Our Annual Alumni Mass will be held at Blessed Trinity Church on Sunday, September 22, 2013, at 10 AM. We look forward to welcoming all alumni, especially the graduates of 1943, 1953, 1963 and 1973 who will celebrate significant anniversaries. We encourage those graduates to contact their classmates and take advantage of the occasion to arrange individual class reunions. A reception in St. Charles Hall following the Mass provides an ideal opportunity to reminisce and renew acquaintances. Please consider bringing a food item to share. As part of our annual Mass, we pause to remember all deceased alumni and faculty, and the names of graduates who have passed away since last year’s Mass will be read. We will be remembering Norine Kurtz Randle and Robert F. Harrer, ‘37; Bernice Stengel Burgasser, ’41; Richard J. Dentinger, ’44; John E. “Jack” Lester, ‘54; James J. Loesch, ’55; and Josephine Chilelli Drescher, ’57. May they rest in peace. Please inform the committee if you are aware of other recent alumni deaths by leaving a message HERE, and their names will be added to the prayer intentions on that day. New this year: We will offer a tour of the church before Mass. In April, Blessed Trinity’s building heritage committee trained a new class of docents, including several who are alumni of our school. Volunteers from the Classes of 1975, 1956 and 1951 have done their homework, and will be available to offer insights on the architectural features, symbolism and artworks of our landmark church. To participate, please assemble in front of church by 9:20 a.m. so that we can begin promptly at 9:30. (If it’s raining, we’ll meet in the front vestibule). In conjunction with the September 22, 2013 alumni gathering, we are sponsoring our Fourth BT Alumni Raffle for the purpose of raising funds to help pay for restoration and repairs on our beautiful Church. Since we began our raffles in 2009 we have raised over $6,000, half of which was donated to the Church, with the remaining monies (after Alumni Committee expenses) divided among the winners (2 each year). We want to continue this tradition and, with your help, we hope to have an equally successful fundraiser. The drawing will take place at the reception following the Alumni Mass. You don’t need to be present to win, but you DO need to return your completed ticket stubs and check payable to “Blessed Trinity Alumni” no later than September 16, 2013. Tickets are $5.00 each or six (6) for $25.00. Winners will be notified by mail and included in a post on this web site and on the Blessed Trinity School Alumni Facebook page. To request raffle tickets, Click HERE and leave a message “Attention Jerry Powers.” You may also purchase tickets at the reception prior to the drawing. For information about upcoming events at Blessed Trinity Church, including the 2013-14 Trinity Concert Series and opportunities to tour the church, Click HERE.